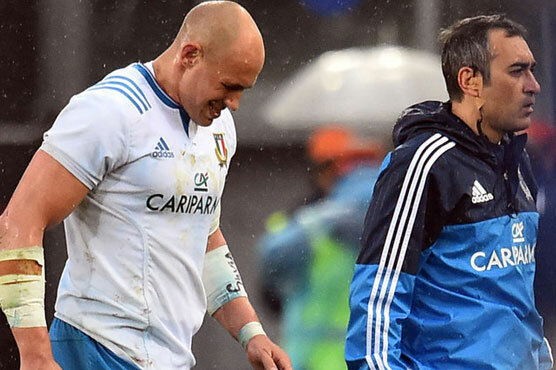 MILAN (AFP) – Italy captain Sergio Parisse has indicated he could shake off a foot injury suffered against France to lead his side into their Six Nations finale against Wales this Saturday. Parisse came off late in Sunday s 29-0 rout by France in Rome with suspected ligament damage in his right foot. But after undergoing tests on Monday, the Stade Francais third row forward said his injury was less severe than first thought. Italy are still expected to be without Matias Aguero and fly-half Tommaso Allan for the Wales game after both were forced off with thigh and rib injuries respectively on Sunday. Italy sit second from bottom of the Six Nations table on two points, but could end up with the wooden spoon for the second successive year if Scotland, beaten by the Italians in Edinburgh, account for Ireland at Murrayfield.